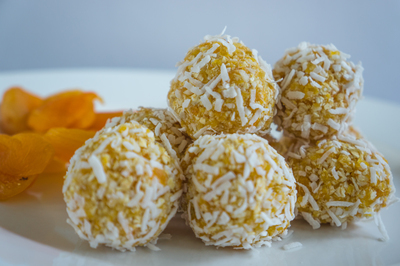 These apricot truffles are so delicious and healthy! They contain no refined sugar, butter, flour or oils and are so easy to make. The perfect snack and the kids will love them! Place apricot in to a food processor and blitz until finely chopped. Add boiling water, oat bran, coconut, skim milk powder and if you’re a sweet tooth like me, you can add a drop of vanilla at this stage (leave this out if you’re avoiding sugar). Pulse until mixture resembles a sticky paste. Pour mixture in to a bowl and roll into 10-12 individual balls. 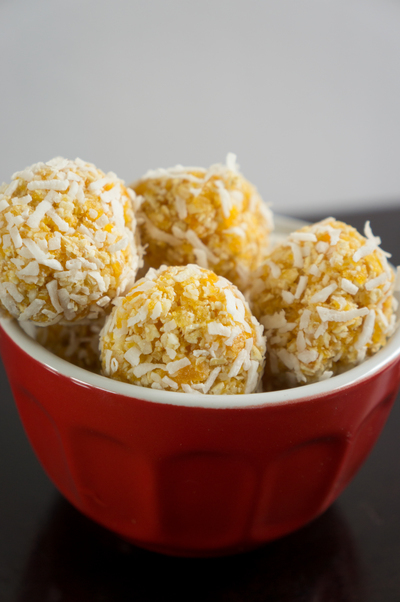 Roll each ball in coconut and place in an airtight container in the fridge to chill.